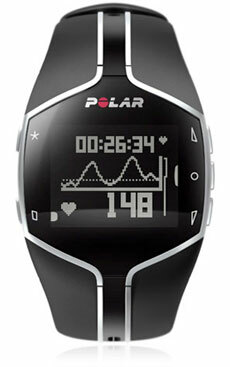 The Polar FT80 Heart Rate Monitor Watch ($380) doesn't just tell time, it gives you the edge by helping you find your sweet spot during training to get maximum results. Not only can it track your heart's beats per minute, it is smart enough to give you feedback on recovery time or rest between intervals. Best yet, Polar also offers a G1 GPS Sensor to use with FT80 for speed and distance measurement so there's no more second guessing weather you swam a full 2 miles or ran all 20 miles.